Sander van Dijk PhD is Head of Research at Parkopedia – the world’s leading parking service provider. Parkopedia provides information on 60 million parking spaces in 75 countries and can be accessed online, as a mobile app or inside the car navigation systems of some of the world’s most recognized car brands. 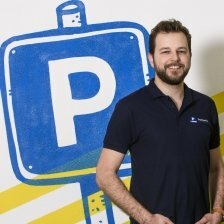 Based out of Parkopedia’s London, UK, office, Sander is responsible for leading the team developing parking predictive models using machine learning, deep learning and computer vision. In his spare time, Sander is team leader at Bold Hearts: the University of Hertfordshire’s humanoid robot football team which participates in the yearly RoboCup world championship.Sander joined Parkopedia in 2013 and holds both an MSc and a PhD in Artificial Intelligence.